Charles Dickens: Novelist, Philanthropist, Protagonizer? But did you know that Boz – his pseudonym for a time – was a big fan of collaborative writing? It’s true! 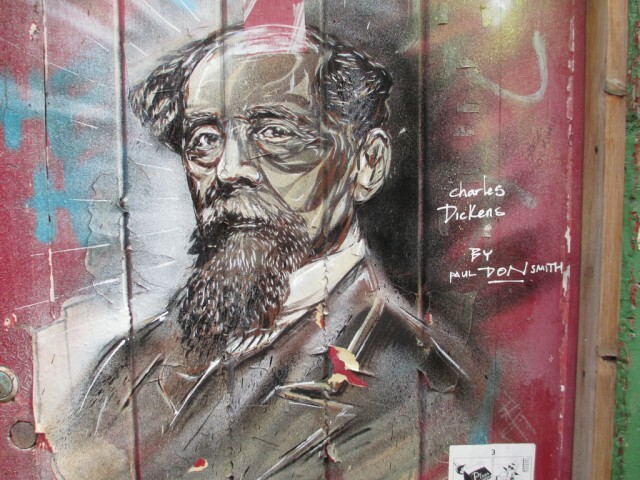 During his time editing a weekly magazine called Household Words, Dickens wrote collaboratively with numerous magazine contributors. In some cases, these stories included up to five or six authors! Sounds a little like our beloved Protagonize, right? Well, the similarities don’t end there! Published weekly, Household Words was the perfect vehicle for serialized fiction. Dickens’ novels were always serialized initially, published chapter by chapter, until the story was complete and a full volume could be released. This weekly or monthly publishing format allowed him to gauge the reactions of his readers, and Charles was known to change the plot and characters based on feedback received. Just like we do! If you want to read one of his collaborative works, check out “A Haunted House,” published in 1859. It contains chapters by Dickens, Hesbah Stretton (a children’s novelist), George Augustus Sala (a journalist), Wilkie Collins (a novelist and playwright), Elizabeth Gaskell (famous for her ghost stories), and Adelaide Anne Proctor (reputedly Queen Victoria’s favourite poet). You can download a free copy in ePub or Kindle format from the University of Adelaide, as well as read it in its entirety from the same site. Enjoy this example of Victorian collaborative writing! Which authors would you jump at the chance to collaborate with if given the chance? Let us know in the comments! Photo courtesy of Matt From London on Flickr. Jack is an infrequent writer, an avid music listener, casual photographer, and globetrotter. He's also a moderator, addicted to caffeine, and frequently mistaken for someone named Jason. His natural habitat is on southern Vancouver Island, but you can currently find him in Vancouver. This entry was posted in Collaborative writing, General, Miscellaneous and tagged charles dickens, Collaborative writing, household words, serial fiction, victorian era. Bookmark the permalink. 7 Responses to Charles Dickens: Novelist, Philanthropist, Protagonizer? Oh I’d love to write with George R.R. Martin for sure! Still, his chapters would be quality! To do a collaborative with her would have been awesome! Also Mercedes Lackey or Marion ZImmer Bradely. At some point a serious collaboration between Me, Charley R. and Miriam Joy would be awesome. I admit to being away from this site for a while now. It seems I am always busy, busy, busy. I am currently researching the education of Dickens, that of his children and the general education of the masses in Victorian England. How wonderfully odd to find your post on him tonight. Thanks for sharing. Contemporary authors: I would like to work with Melina Marchetta, Laini Taylor, or John Green. The two previous one because I just love their writing style, imagery, beautiful and heart-aching characters, and extremely interesting plots. John Green because he is a very, very funny writer. He makes his character SO likable, SO friendly. I can easily see myself in the cast of his books! “Oldies”: Jane Austen because I love her subtlety and writing. Edgar Allan Poe because he’s just too awesome. And J.R.R. Tolkien because we could create thousands of fantasy realms in a day.